A checked version of this page, approved on 23 May 2014, was based on this revision. Belize. World Factbook. Retrieved 14 March 2005. Belize (formerly British Honduras), is a small country of 22,966 km2 (8,867 square miles), and an estimated population in 2009 of 307,899. Belize is a country with numerous cultures, languages, and ethnic groups.Mestizos (people of mixed European and Amerindian ancestry) comprise about 34% of the population, Kriols (descendants of English and Scottish log cutters and Black African slaves) comprise 25% of the population, Spanish 15%, Maya 11%, and Garinagu (a mix of African, Arawak, and Carib ancestry) 6%. The remaining 9% are comprised of people who are descendants of immigrants from a number of countries, including approximately 10,000 Mennonites. The population density is the lowest in the Central American region and one of the lowest in the world. However, the country's population growth rate, estimated in 2008 to be 2.21%, is the highest in the region and one of the highest in the western hemisphere. Belize is the only country in Central America where English is the official language. Belize is bordered by Mexico to the north, Guatemala to the south and west, and the Caribbean Sea to the east. It has a flat, swampy coastal plain, with low mountains in the south. In this relatively small country with its wide range of Latin-American, African, European, and Asian cultures, it is fitting that the Mennonites appear on the scene in many phases as they make up four percent of the total population, the highest percentage of any country in which Mennonites live. Total Mennonite membership in Belize in 1987 was 2,236 in 37 congregations. The general public considers the conservative attitude of the Mennonites unnecessarily backward because they shun so many conveniences in life. On the other hand the non-Mennonite people envy the Mennonites, noticing how they receive preference among the elite and from financial institutions. The government 's agricultural ministry turns to the Mennonites for advice on such subjects as issuing importation licenses for agricultural products. This is logical because there are no other statistics as dependable as those of the Mennonites on food production. The government's dependence on Mennonite data does not always meet with the approval of the local merchants. Mennonites are well recognized for their skill in carpentry and mechanics and for their prompt and dependable service in these areas. Mennonites have also developed service projects for needy people in the larger community. This work includes preparation of land for planting and, sometimes, machine harvesting. At other places, small, simple structures have been erected as modest living quarters for workers at these projects. Corn and beans have been supplied to distribution centers to help the most needy. Eggs have been supplied free for years to the government hospital in Belize City and some to the Cayo Hospital. In some instances money was loaned toward a common cause so that a tractor or other implement could be supplied to a group of native Belizian farmers. These farmers are expected to pay for the machines on easy terms. Recently a government official asked one of the more responsible brothers for the secret of our success in agriculture. "I don't know of any special secret," answered the brother, "but it might be striving to live according to scriptural standards, and 'Zusammenarbeit' (working together)." Whenever Mennonites have to deal with the bureaucracy, e.g., when a Mennonite family wants to emigrate, they have to worry about corruption and thievery, although governmental security forces offer some protection. Most of the Mennonites, however, are making permanent commitments to life in Belize and are generally tolerant of conditions. Non-Mennonite laborers adjust easily to their Mennonite employers, and Mennonite businessmen adjust to the legal requirements for importing and exporting merchandise. Some Mennonites are considering joining national agricultural associations. Non-Mennonite missionaries from North America look to the Mennonites for financial support and are not disappointed. Young Mennonite women tend to be more controlled and loyal to the Mennonite traditions. More young men than women marry outside the Mennonite community. Belizian parents seem to encourage their daughters to marry Mennonite men because of the economic and domestic stability evident in the Mennonite community. Most of the couples in the mixed marriages, however, do not join the Mennonite church. Driedger, Leo. "From Mexico to British Honduras." Mennonite Life 13 (October 1958): 160-66. Kraybill, Paul N., ed. Mennonite World Handbook. Lombard, IL: Mennonite World Conference, 1978: 192-195. Lapp, Hannah B. To Belize with Love. Lawrenceville, VA: Brunswick Pub. Co., 1986. Mennonite World Conference. World Directory = Directorio mundial = Répertoire mondial 2012: Mennonite, Brethren in Christ and Related Churches = Iglesias Menonitas, de los Hermanos en Cristo y afines = Églises Mennonites, Frères en Christ et Apparentées. Kitchener, ON: Mennonite World Conference, 2012: 18. Mennonite World Handbook Supplement. Strasbourg, France, and Lombard, IL: Mennonite World Conference, 1984: 49-53. Wikipedia. "Belize." Web. 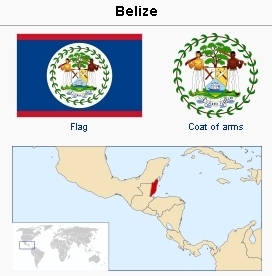 21 March 2010. http://en.wikipedia.org/wiki/Belize. Gingerich, Melvin and John B. Loewen. "Belize." Global Anabaptist Mennonite Encyclopedia Online. May 2013. Web. 24 Apr 2019. http://gameo.org/index.php?title=Belize&oldid=122447. Gingerich, Melvin and John B. Loewen. (May 2013). Belize. Global Anabaptist Mennonite Encyclopedia Online. Retrieved 24 April 2019, from http://gameo.org/index.php?title=Belize&oldid=122447. Adapted by permission of Herald Press, Harrisonburg, Virginia, from Mennonite Encyclopedia, Vol. 4, pp. 1093-1094; vol. 5, pp. 64-65. All rights reserved.